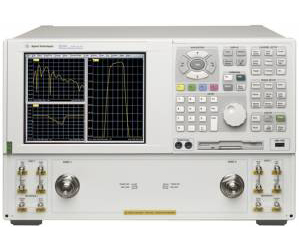 The Agilent PNA-L vector network analyzer is a member of the PNA series network analyzer platform and is designed for your general-purpose network analysis needs. Advanced features help you work quickly, easily, and accurately. With the same firmware as the PNA, the PNA-L offers the perfect balance of value and performance. PNA-L provides efficiency and flexibility in both manufacuring and R&D applications for industries from Wireless LAN components to Aerospace and Defense.